At approximately three years old, children begin to play and interact with other children and it can be more challenging to come up with new preschool activities to keep them occupied and learning. So, we propose "The Block Party Playdate". We love building blocks and other construction toys because they are "open-ended", which means that children play differently with blocks each time and there is no limit to their creativity and imagination. Block sets also come in all shapes, sizes, colors and textures so mixing them together can be alot of fun, but not too difficult to separate back into the respective sets when it's time for cleaning up. Block play also allows kids to practice fine motor skills while having fun. 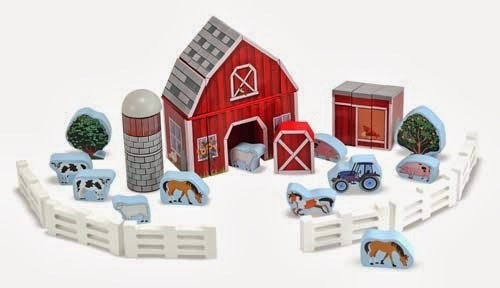 Even better, almost every kid has them, so there's no need to buy anything new for this engaging playdate idea that makes existing toys seem exciting again. Our recipe for success is easy and fun. Ask each mother to explain to their child ahead of "The Block Party" that they will be bringing their blocks to share with other children and they will get to play with other kids' blocks as well. Be sure to talk about concepts such as sharing and what to do if they get frustrated rather than hitting, biting, knocking others' blocks down, etc. prior to getting together as well as when children first arrive at the party. Designate an adult to help kids resolve conflicts that arise constructively. When doing so, tell kids what to do; not just what not to do so they begin learning appropriate social skills. Choose a good time for this get together so children are well-rested and ready to play and socialize. They also need plenty of time to play and be creative, so plan enough time that they are not rushed. When the kids take time to have a snack, encourage language, social skills and an interest in them by asking them questions about what they are building. Help them practice good table manners. Plan for the adults. Have cards, desert, maybe great coffee, whatever it takes to settle in and grab some social adult time while the kids are having fun. 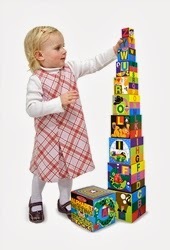 To purchase building blocks and block sets for toddlers and preschool kids, visit http://www.jumpstarttoys.com/buildingblocks-for-preschoolers-s/1831.htm.